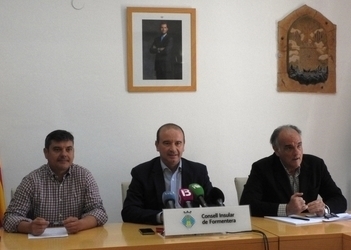 The Formentera Council chair and deputy chair, Jaume Ferrer and Bartomeu Escandell, met for a noon press conference today to discuss the criminal suit brought by businessman Leo Stöber against the two officials, Pep Mayans, Sílvia Tur, Sònia Cardona and other Gent per Formentera councillors in the cabinet from 2007 to 2011 for blocking an expansion of housing in Punta Prima. Also on hand was the pair's defence attorney, Fernando Mateas. Mateas, pointing out that the Balearic high court and the Spanish supreme court alike vetted the island's “Land Strategy” (Pla Territorial), concluded “the Council conducted itself exactly as it should have. That's not an opinion; it's a fact”. Mateas indicated that Stöber filed his criminal suit as soon as he learned the judge had ruled against him in the contentious litigation with the Council. The public prosecutor had previously issued the opinion that no crime had been committed, clarifying that “the only one bringing charges here is Stöber himself; the prosecutor's office has not brought any charges”. Mateas framed the action as nuisance litigation and said his clients were already feeling the character-sullying squeeze of the attending media storm. But he made it clear that there was no need for drama. “Court appearances are sometimes a fact of life”, said Mateas, “and certainly nothing to be afraid of when you're in the right”. 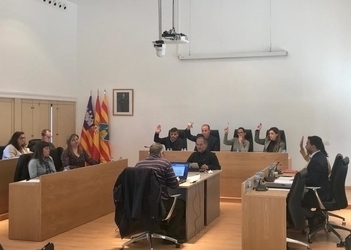 Jaume Ferrer admitted he was “surprised” by the start the suit had gotten off to—particularly after all the court rulings in Council's favour and the DA had indicated his intention not to prosecute. “Leo Stöber sees these court cases as a way to generate pressure so things go his way”, Ferrer said. “But ses Salines nature reserve's Pla d'Ordenació de Recursos Naturals ['Natural Resource Strategy'] prohibits the granting of tourism permits in this area of the island. “Stöber is accusing us of a crime we haven't committed in an bid to compel us to commit one in his favour”, observed Ferrer. “To grant building permits on land where construction is illegal would be a crime”, he reasoned, “and we've always put islanders' interests first. We'll continue to do just that”. 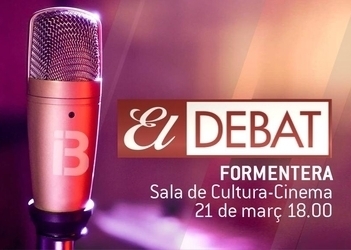 For his part, Bartomeu Escandell insisted “we're here today to preserve this site and limit building to lawful initiatives only”. “It's crucial we remember that the decision to apply current environmental regulations in Punta Prima has already received the approval of the Balearic high court and the Spanish supreme court”. 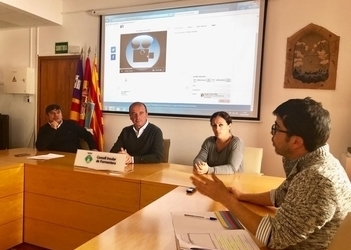 Members of the island's Junta Local de Seguretat (Local Security Council) came together earlier today in a gathering co-chaired by Formentera Council president Jaume Ferrer and Palma's envoy on the island, Rosario Sánchez. 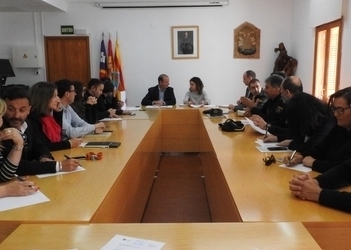 The meeting was also attended by a host of other officials —provincial transit chief Francisca Ramis, CiF deputy chair Susana Labrador, presidential cabinet councillor Bartomeu Escandell, mobility councillor Rafael González and social welfare councillor Vanessa Parellada—, spokespeople of other parties, representatives of the Guardia Civil, National and Local Police and Civil Protection. President Ferrer described the annual pre-summer encounter as a way to “take stock of the previous season and coordinate the security forces' joint efforts ahead in the coming season”. Others in the administration reiterated calls for local traffic and marine details of the Guardia Civil. Ferrer announced the planned expansion of the local police force—“bringing the total number of officers to 16, five more than last summer”. The president additionally announced the administration's bid to join Viogén, an integrated system of the Spanish ministry of interior to track gender violence. Rosario Sánchez, for her part, hailed the Council's adhesion to the compact, as well as the decision to sign a protocol of “gender violence victim protection, because it is everyone's responsibility to fight gender violence and help victims”. Sánchez observed that “security on the island is in good shape thanks to the efforts of the Formentera Local Pocal Police, Guardia Civil, and National Police forces”. Collaboration between law enforcement agencies help reduce unlawfulness by 14 per cent in the last year, she noted, pointing out increased street patrols and the Guardia Civil's new expanded hours. In the past, the Guardia Civil was open to the public mornings from Monday to Friday. They will now be available Monday to Friday from 9.00am to 9.00pm, and weekend mornings.